Super Xanthin (Astaxanthin) (pronounced “asta-ZAN-thin”) is a naturally-occurring carotenoid that is a reddish-colored pigment produced by microalgae. It is ingested by several different forms of marine life, including salmon, lobster, and shrimp. Carotenoids are pigment colors that support good health. Natural astaxanthin is probably the most potent natural antioxidant known to man. It is beneficial in relieving oxidative stress throughout the body while also aiding in recovery time following exercise. Most antioxidants such as vitamin C can typically only handle one free radical at a time. Astaxanthin can handle multiple free radicals simultaneously – in some cases more than 19 at the same time. It does this by forming an electron cloud around the molecule. This is known as the electron dislocation resonance. When free radicals try to steal electrons from the astaxanthin molecule, they’re simply absorbed into and neutralized by this electron cloud, all at once. Astaxanthin can also cross the blood-brain barrier and the blood-retinal barrier, and provide antioxidant and anti-inflammatory protection to both the brain and the eyes. Astaxanthin is a unique antioxidant, as it is bioavailable throughout the body. The skin, muscles, ligaments, tendons, eyes, cardiovascular system, nervous system, and internal organs are all receptive of Astaxanthin. These soft tissues appreciate, and are able to perform better, due to the presence of the active antioxidant power of Astaxanthin. Astaxanthin is produced only by the microalgae Haematococcus pluvialis when its water supply dries up. This forces it to protect itself from ultraviolet radiation. It’s the algae’s survival mechanism. Astaxanthin serves as a “radiation shield” to protect the algae from lack of nutrition and/or intense sunlight. When you consume astaxanthin you are creating your own “internal sunscreen.” The same powerful antioxidants that protect the algae from the sun’s rays can help protect you as well. It has also been well documented that the skin benefits of astaxanthin include fewer fine lines, better moisture, increased skin tone and elasticity, smoother surface, fewer freckles, and less under-eye puffiness. I have been taking Super Xanthin for about two months now and my skin has never looked better. I live in South Florida and spend a good deal of time in the sun. Being that I am of English and Irish descent I am very fair skinned and burned easily in the sun… until I started taking astaxanthin. Now that I take it daily, I can spend an extended period of time in the sun like 4 hours on the golf course, without getting a sunburn. I tan much better and my skin stays moist and elastic. 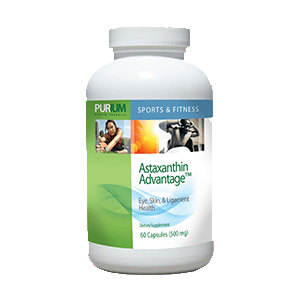 Pure natural astaxanthin is amazing for recovery of muscles, better endurance, enhanced strength and improved energy levels. In the marathon running world it is well known for its ability to curb lactic acid in muscles. You can research the benefits online and you will find that it is AMAZING for cardiovascular health and clinically proven to make your eyesight better. I am a firm believer in all of the benefits provided by astaxanthin advantage and have given a bottle to my mother for her to take. 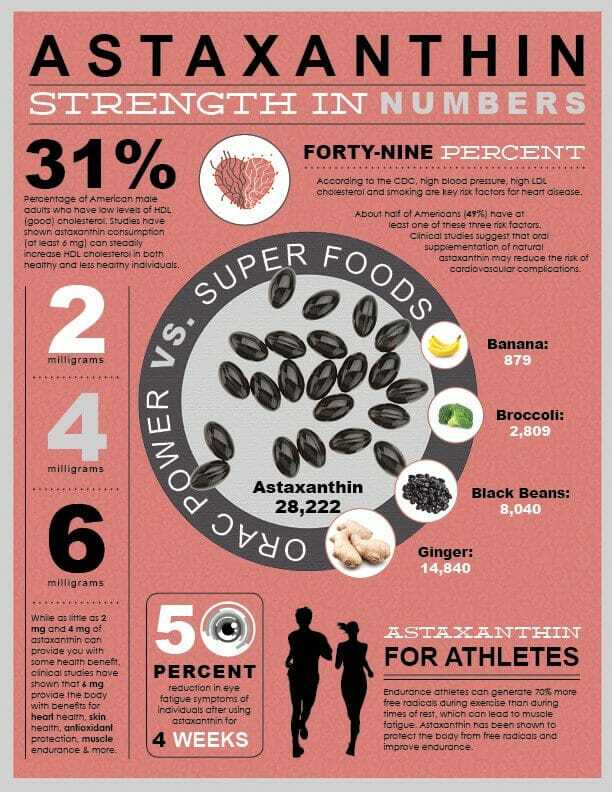 In terms of antioxidant power or potency, super xanthin ( astaxanthin ) is 550 times stronger than vitamin E, and 6,000 times stronger than vitamin C!